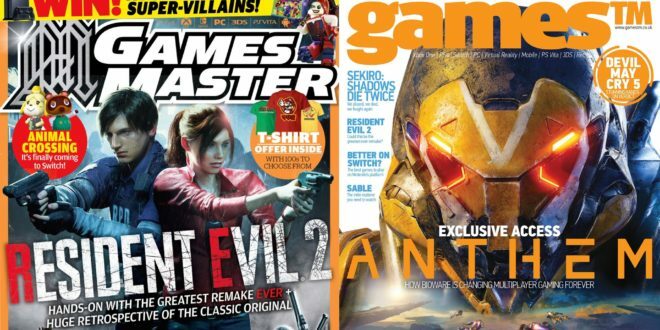 MCV’s parent company Future plc informed us today that GamesMaster and Games TM magazines will be closing this month, with their next issues being their last. "Despite the company’s strong performance overall, unfortunately Games TM and GamesMaster are no longer profitable parts of the business, which means that their next issues, on sale November 1st, will be the final editions," said Tony Mott, brand director of games. The magazines had long and storied histories. GamesMaster dates back to 1993; while Games TM has been running since 2002, and is a month short of its sixteenth birthday. Their closure leaves Future’s Edge magazine as the last, long-running proponent in the multi-format games space. Mott told us: “The decision was an extremely difficult one, but everyone here is enormously proud of what the magazines have achieved in their lifetimes – an incredible 25 years in GamesMaster’s case – and we are currently redeploying affected staff within the company." Of course, there will be many freelancers out there who are also affected by the closures. GamesMaster was based around the TV show of the same name, and ended up outliving its namesake by some 20 years. The magazine’s final editor, Robin Valentine, told MCV: "GamesMaster was very close to my heart, and I’m incredibly sad to see it go. For over 25 years it was a place to really celebrate video games, and its uniquely passionate and positive fanbase was testament to how much that resonated. I was so lucky to get to be a part of that, even if it turned out to be the final part." Games TM’s classy presentation showed games in all their glory, and while the magazine switched around publishers over the years, it spent a good ten years with Imagine, which was acquired by Future back in 2016.